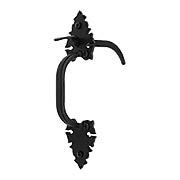 Inspired by European hardware of the 16th century, this this handsome thumb-latch entry set is ideal for English Tudor, French Country, or other romantic styles of home. 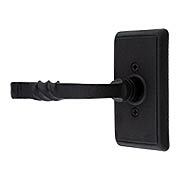 The fanciful back plates and sturdy handles are made of heavy duty forged iron with a rustic surface texture and durable black lacquer finish. 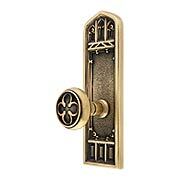 Set includes a top quality, American made mortise lock. Inspired by European hardware of the 16th century, this charming entry set is ideal for English Tudor, French Country, or other romantic styles of home. 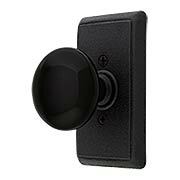 The fanciful back plates and petite knobs are made of heavy duty forged iron with a rustic surface texture and durable black lacquer finish. 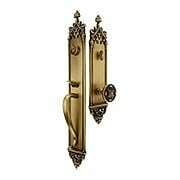 Set includes a top quality, American made mortise lock. 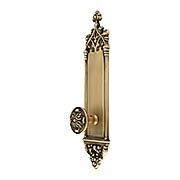 Inspired by European hardware of the 16th century, this charming and understated entry set is ideal for English Tudor, French Country, or other romantic styles of home. 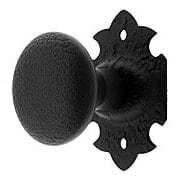 The fanciful rosettes and petite knobs are made of heavy duty forged iron with a rustic surface texture and durable black lacquer finish. 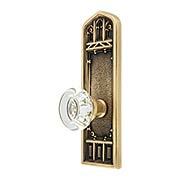 Set includes a top quality, American made mortise lock. 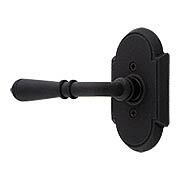 Inspired by the hardware of 16th Century England, this rugged rim latch is ideal for Tudors, French Country and other romantic European style homes. 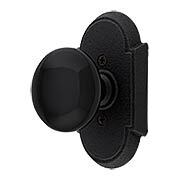 Made of heavy-duty cast iron with a durable black lacquer coating. 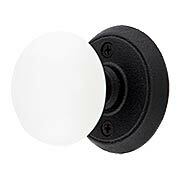 Suitable indoors or out, it works on doors 1 3/8" to 1 3/4" in thickness. 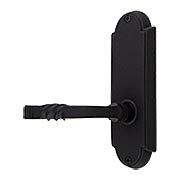 With its rugged texture and weathered finishes, the San Carlos thumb latch entrance set is a perfect choice for your Colonial, Tudor or other rustic style of home. 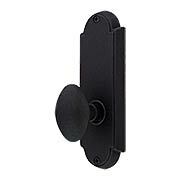 The wrought steel handles and rosettes are hot forged, distressed and relieved to achieve an appearance of graceful wear. 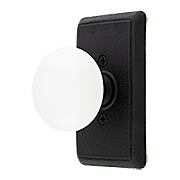 Offered with 2 rustic finishes and 5 interior knob or lever options! 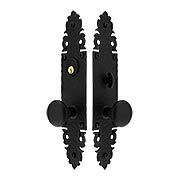 The Arched Rosette Door Set with Black Porcelain Knobs is a charming medley of early American influences. 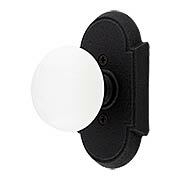 It works with everything, from a Federal farmhouse to a mountain chalet. Hot forged steel and heavy-duty mechanics guarantee a lifetime of durable quality and superior performance. The Arched Rosette Door Set with White Porcelain Knobs is a charming medley of early American influences. It works with everything, from a Federal farmhouse to a mountain chalet. 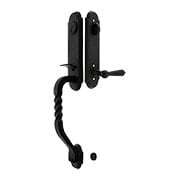 Hot forged steel and heavy-duty mechanics guarantee a lifetime of durable quality and superior performance. 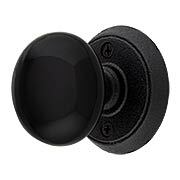 Whether your home is down a country lane or high atop a mountain, this charming Rosette Door Set with Black Porcelain Knobs is a fitting choice. The rugged rosettes and vintage knobs suit everything, from a Colonial farmhouse to a timber chalet. Hot forged steel and heavy-duty mechanics guarantee a lifetime of durable quality and superior performance. Whether your home is down a country lane or high atop a mountain, this charming Rosette Door Set with White Porcelain Knobs is a fitting choice. The rugged rosettes and vintage knobs suit everything, from a Colonial farmhouse to a timber chalet. 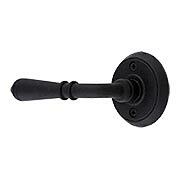 Hot forged steel and heavy-duty mechanics guarantee a lifetime of durable quality and superior performance. 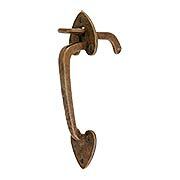 This cast-iron thumb latch brings old-world charm to any home style. 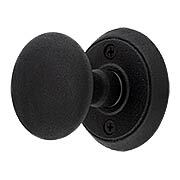 Ideal for inswing doors up to 1 1/2" thick, it features an antique iron finish, a privacy lock and is reversible for left or right handing. Does not include fasteners. 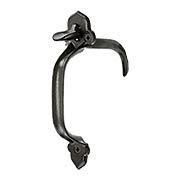 Charming heart tips and a weathered surface make this forged-bronze rim latch a classic choice for Colonial or country style homes. Suited for inswing doors only, it features a weathered-bronze finish, left unlacquered finish to allow for natural aging. 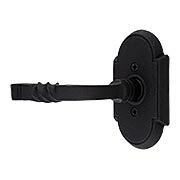 The set is designed for doors up to 2" in thickness (for thicker doors please call us for availability and pricing). Comes complete with all mounting hardware, and is reversible for right or left handing. The design for this stately, Neo-Gothic door set dates from the early 20th century. 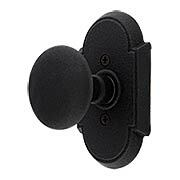 Made of premium cast brass, it features pointed arches, linen-fold panels and round crystal knobs with an inset star. Choose from 4 period finishes. 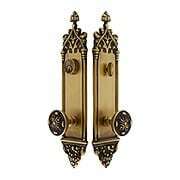 At the end of the 19th century, Gothic-Revival hardware was a popular choice for elegant homes and institutions. 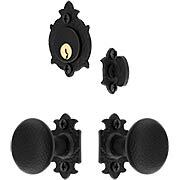 The authentic Yale and Towne design of the 16-Inch Colburg Entry Set with Maltesia Knobs features trefoil cut outs, stylized finials, and matching knobs, all crafted from durable cast brass. Bold and nostalgic, it greets your guests in true romantic style! 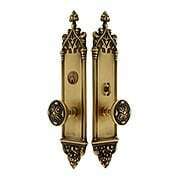 At the end of the 19th century, Gothic-Revival hardware was a popular choice for elegant homes and institutions. 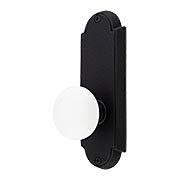 The authentic Yale and Towne design of the 16-Inch Colburg Thumblatch Entry Set with Maltesia Interior Knob features trefoil cut outs, stylized finials, and matching knobs, all crafted from durable cast brass. Bold and nostalgic, it greets your guests in true romantic style!